As the temperature drops and winter begins to rear its freezing head, our thermostat personalities start to come out. 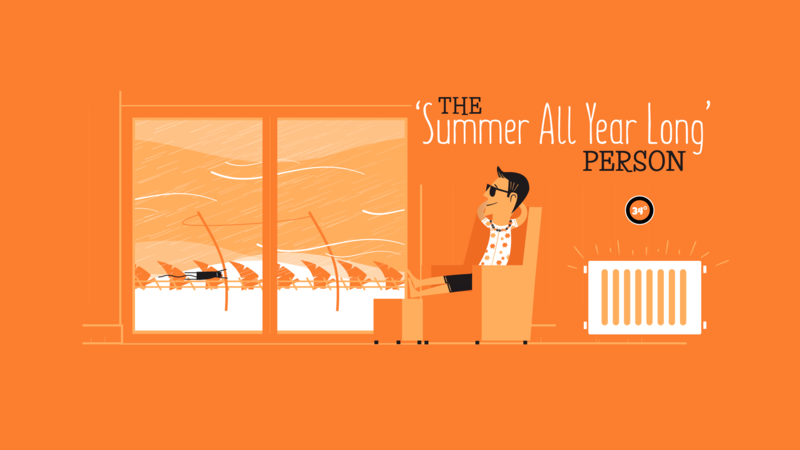 We all have a relationship with our thermostat, from turning it up willy-nilly to being extremely strict and, more often than not, personalities clash. 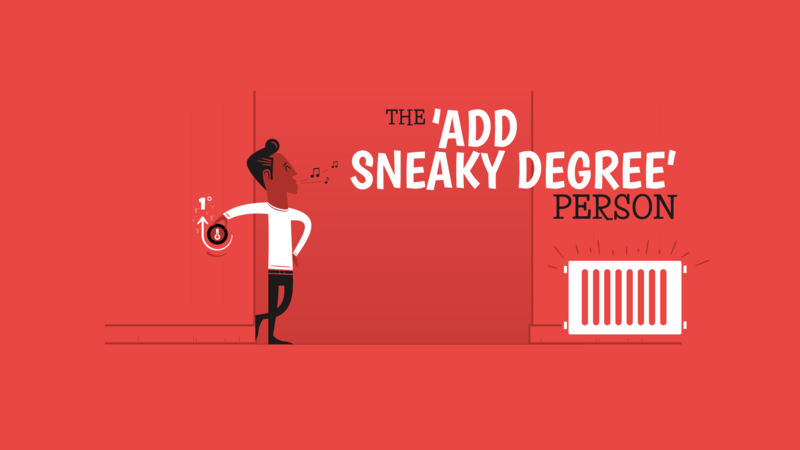 To help you find your thermostat personality and get into character this winter, we’ve listed 5 of the most common thermostat personalities around. 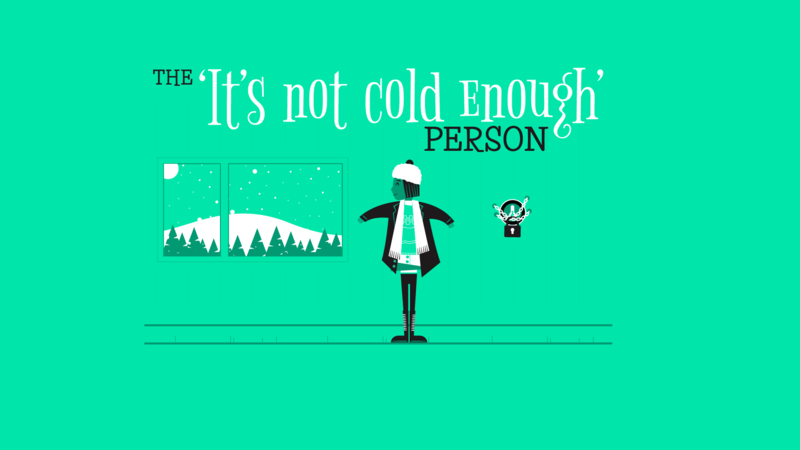 You’d rather sit on the sofa wearing 5 jumpers, a hat and a scarf before you’ll even consider turning the heating on. Nothing gets to you more than seeing somebody approach the thermostat when they’ve not even put a second layer on – do they think you’re made of money? Those you live with can plead for the heating to go on all they like but it’s simply not cold enough until you say so. They just need to follow your example by putting a jumper (or two) on. This personality often includes those people who like to wait until a certain time of year to put the heating on, with the clocks going back and the first day of November being popular choices. Cold? What cold? Winter might be creeping in but you don’t plan on putting your shorts away just yet, oh no. You’re not just putting the heating on to ‘take the chill away’, you’re going all in. After all, that’s what it’s there for, right? Close your eyes and this could be the Caribbean. There’s one of you in just about every home up and down the country. You won’t stand for the thermostat being turned up by even a single degree without your consent. You don’t even have to be in the house and your ‘thermostat senses’ will start tingling if somebody comes within a few feet of that precious dial. Should you find that the thermostat has been messed with then the alarms start going off, shutters come down over the windows and the interrogation begins. 9 times out of 10 this person will be Dad. 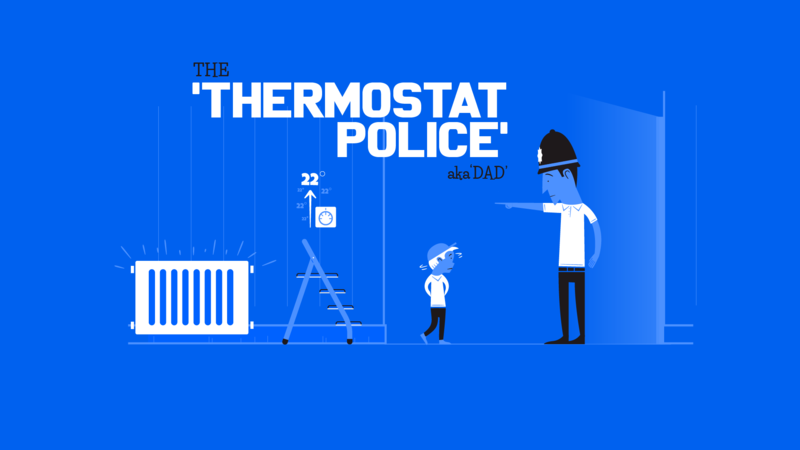 You’ve mastered the art of turning the thermostat up without another soul, namely a member of the Thermostat Police, even noticing. You’re fearless, brave and a heroic inspiration to all those people who are forever being scuppered by the Thermostat Police. Keeping an eye on the temperature of your home from within the house itself just isn’t enough for you. How do you know that nobody is going to fiddle, touch or tamper with it when you’re out? After all, you’re the one paying the bills. The last thermostat personality anybody wants to have is ‘No Control Whatsoever Thanks to a Broken Heating System’. Here at Boiler Guide, we want to help you find your true thermostat personality by getting your heating back up and running. Complete one of our quick and easy online forms by providing just a few details about your heating system and you’ll get free repair quotes from up to 3 trusted engineers in your area. Once you have your quotes, compare them and choose the best deal for you. Or don’t, there’s no obligation whatsoever. Did reading the thermostat personalities in this article ring any bells? 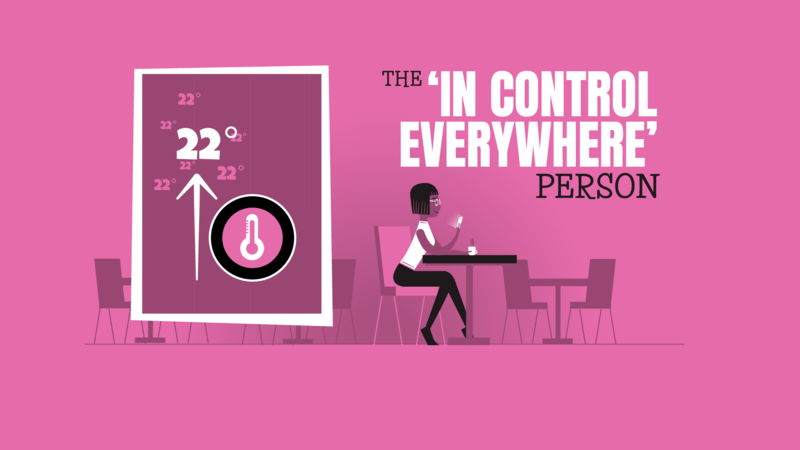 Share your thermostat personality with us on Twitter and let us know your favoured room temperature during the winter.